Dr. Kecia Gaither explains how delaying cutting the cord by even a few minutes can provide many health benefits for newborns. 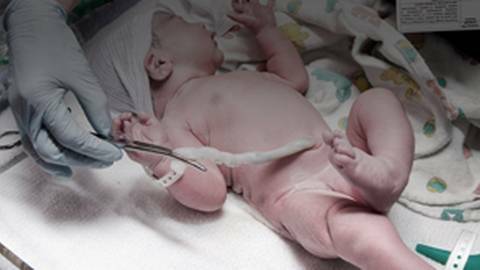 A couple of extra minutes attached to the umbilical cord at birth may translate into a significant boost in neurodevelopment several years later, research suggests. Dr. Prathima Setty is joined by Dr. Kecia Gaither, a perinatal consultant at St. Lukes Hospital in Kansas City, MO as they talk about how delaying cutting the umbilical cord can be beneficial.